The Most Comprehensive and Accurate Oral Pathology Differential Development Aid Available. Highly experienced clinicians and oral pathologists have contributed to the development of this monumental diagnostic resource tool. Their invaluable years of experience and professional resources have been used to bring about what will prove to be a great milestone in oral pathology differential diagnostics. The OralpathDx® differential development program is a powerful and accurate revolutionary tool for oral pathology. There are no other software programs in the marketplace that approach the analytical results and hands-on resource library provided by this program. This is an essential resource for today’s health care professional. OralpathDx provides the fastest and most accurate differential development for oral pathology available. Click here to start using OralpathDx now! Attention dental and medical school students! Click here to signup for free access while you are in school. Early detection and proper diagnosis at your fingertips. Using your skilled observation and answers to important diagnostic questions, as well as recording your patient’s personal habits and obtaining any needed tissue samples for microscopic examination, early detection and diagnosis of disease can be achieved. Early detection can mean less radical treatment, less suffering for your patient. This tool can eliminate hours of research in getting to that early detection and diagnosis, time that you don’t have to waste. Time that your patients are expecting you to invest in them. 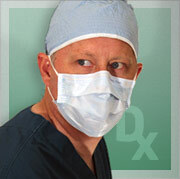 Existing OralpathDx Internet users click here to login.